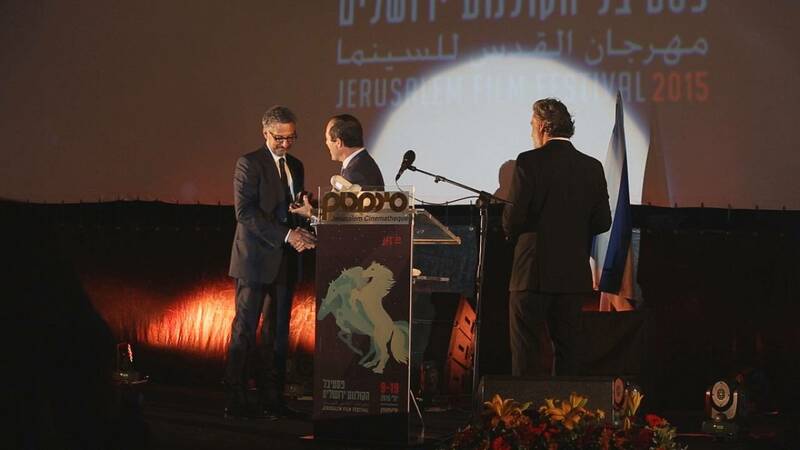 The 32nd edition of the Jerusalem Film Festival kicked off with Hollywood glamour, as John Turturro attended the opening. The US actor, writer and director, famous for his roles in films like ‘The Big Lebowski’, ‘O Brother, Where Art Thou?’ and more recently ‘Mia Madre’, was honoured with a Lifetime Achievement Award. The main goal of the festival is to showcase the nation’s rich film production. Israel has been nominated for more Academy Awards for Best Foreign Language Film than any other country in the Middle East. Our cultural reporter Wolfgang Spindler says, that over the past years, Israel has increased both the quality and quantity of its films. The country enjoys good production facilities and a lot of talent. The subject matter is often the nation’s complex socio-political issues. Genre films are a new phenomenon in Israel – ‘JeruZalem’ by brothers Doron & Yoav Paz is a zombie movie about American tourists in Jerusalem, who encounter an apocalypse in the gated city. The action is shown from the perspective of one of the character’s high-tech Google glasses giving the film a real-life quality. It picked up Best Editing and the Audience Favorite Award, which is voted for by festival goers. Though the subject matter is heavy, these movies dealing with the ongoing conflict in the region draw a broad audience. ‘Strung Out’, a documentary about a group of young women living on the streets of Tel Aviv, the victims of heroin addiction and prostitution, won the Best Director of a Documentary and Best Music awards. Director Nirit Ahroni also did the camera work: “It took me a year and a half before I allowed myself to come with the camera, we built a lot of trust,” she told euronews. It was a quiet, thoughtful film about an ultra-Orthodox Jew who goes through a near-death experience and starts questioning his faith that won Best Film. ‘Tikkun’ picked up three other major awards including Best Script, Best Cinematography and Best Actor for Arab-Israeli actor Khalifa Natour. “The script is just a lot of layers and a lot of philosophic issues and it is tickling the issues in the film with questions not with answers,” said the film’s director, Avishai Sivan. Best First Film went to ‘Wedding Doll’, which also earned Asi Levi the Best Actress award for her performance as the mother of a disabled young woman who strives for independence and finds an unexpected romance when she falls in love with her boss.